Egads! Aussie DJ Pretends To Be Queen, Gets Hospital To Talk About Kate : The Two-Way A nurse who certainly didn't seem suspicious rather cheerfully told the faux queen (and a fake Prince Charles) that the pregnant duchess is doing better. Kate is being treated for severe morning sickness. The hospital is apologizing for sharing the information. 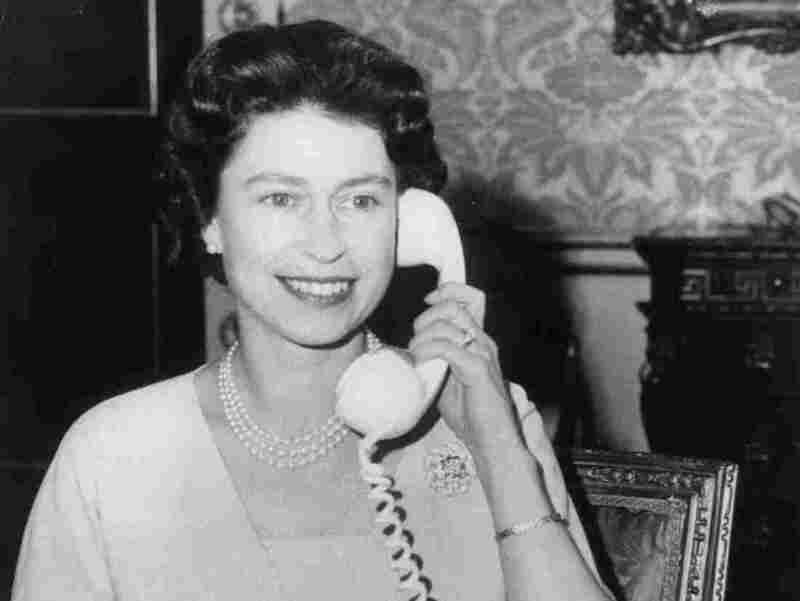 Hullo: The real Queen Elizabeth II, we swear, in 1961. "The hospital treating the pregnant Duchess of Cambridge ... 'deeply regrets' giving out information about her condition to hoax callers from an Australian radio station," the BBC writes. According to CNN, "John Lofthouse, chief executive at the hospital, is quoted as saying: 'This was a foolish prank call that we all deplore. We take patient confidentiality extremely seriously and we are now reviewing our telephone protocols.' "
As The Australian reports, DJ's Mel Greig and Michael Christian from a show called 2Day FM "managed to convince staff at the King Edward VII hospital that they were both the Queen of England and Prince Charles and found themselves connected through to Middleton's private nurse last night." Kate's pregnancy is huge news to many around the world — including, of course, in Australia. She was admitted to the hospital earlier this week because she's suffering from severe morning sickness. As you can hear in this recording of the call to the hospital, the woman who comes on the line and is said to be one of Kate's nurses doesn't seem to be suspicious about getting a call from the faux royals. She rather cheerfully informs "the queen" that the duchess had an "uneventful night" and "hasn't had any retching with me since I've been on duty." The prank call begins around the 1:40 mark in the recording.